#fivesongsthat is a feature in which someone selects and discusses fives songs that…do something collectively. Political, personal, perhaps a mixture of the two – it encourages people to consider what certain tracks might represent when placed together. That and it gives us a chance to indulge in some great music. Zayn Malik has decided to leave One Direction. The rest of the band has confirmed they are going forward as a four piece, but here are #fivesongsthat show Zayn is an indispensable member of the band. 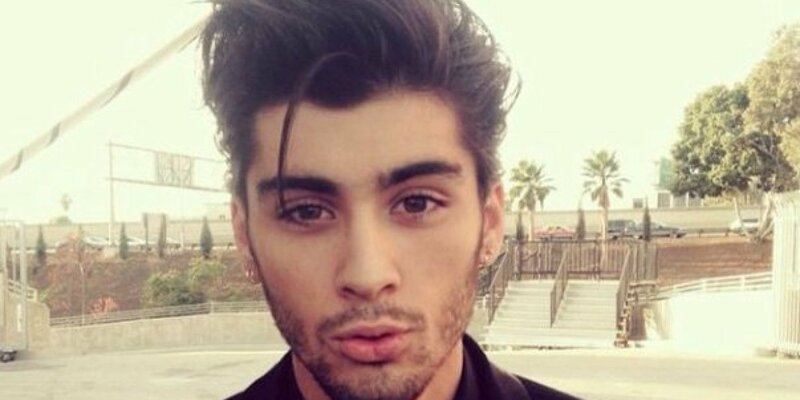 In One Direction’s video for ‘Night Changes’, Zayn experiences having a bowl of spaghetti thrown all over him, whilst sporting pristine first date attire in a swanky restaurant. He keeps his cool though and his tailored-cut refine goes unchallenged (he was Best Dressed Male of GQ 2014). He is a graceful presence even in this scene of humiliation. Props to Zayn, none of the others could have managed this. Quickly assessing the rest of 1D’s stereotyping in the video, Zayn emerges as the clear winner; Liam enters the video wielding two toffee apples, Harry is grinning and holding a pair of white boots, Louis is looking smarmy with over-quaffed hair and Niall offers the date a lengthy game of monopoly. Zayn kills it, his date is a classic! He incredibly developed a career from this pretty terrible audition on 2010’s X Factor. The redeeming factor of this is that he chose to perform a reminiscent RnB track. I mean, Mario? Oh yeah, MARIO! That guy who was ranked in the Artist of the Decade chart in the naughties! Zayn Malik helped to revive many X Factor viewers’ love for Mario. The others didn’t have anywhere near the same impact; Harry and Stevie Wonder, Niall and Ne-Yo, Liam went for Cry Me a River (the jazz standard, not JT apols) and Louis’ audition was so bad it’s lead to many unofficially dubbing him the luckiest man in the world. Snaps for Zayn. Zayn wants to return to being a normal 22 year old. He is totally sorted. He has always claimed to be the ‘shyest member’ of the boy band and now he has done his stint of fame, he is completely over it. The band collectively have made over £70m during their time in the charts. He has travelled the world and experienced the fan-girl craze of the 21st century. The average time for boy-bands to last before one member departing is five and a half years, perhaps Zayn’s departure is just quitting whilst 1D are ahead. According to the wealth of fan sites out there, Zayn’s all-time favourite band is ’N Sync. Remember what happened to them? That’s right, Justin Timberlake left. But from the departure of Timberlake from the boyband after seven years came a hugely successful nine times Grammy award winning star. This dire situation many 1D fans have found themselves in could result in a glorious solo artist career for their favourite former member. Zayn has the looks, the talent, the pop-power couple status with Perrie of Little Mix and the unbearably loyal fan base to be able to launch a crazy solo career if he so wished. Coral betting agency are quoting odds of 3:1 that Zayn will have a number one solo single before 2015 comes to an end. Jeremy Clarkson’s head replaces Zayn’s. Zayn is a much better guy than Jeremy Clarkson. The internet have had a brilliant time re-imagining the former Top Gear presenter in the newly open position in the boy-band. The news of Clarkson being fired by the BBC was somewhat overshadowed by the hysteria which followed Zayn’s announcement to quit 1D. This shows firstly how irrelevant Jeremy Clarkson ultimately is and secondly just how important the fans of a boy-band can be when dictating what makes music news, and well just about any news, on the internet. And also, of course, it dertermines how indispensable Zayn Malik is for One Direction and for the internet. Liz is the Deputy Editor of Music at PTL. She listens to radio podcasts every night to get to sleep and Hip-Hop or Shoegaze are the soundtrack to her everyday life. She endeavours to be as classy and cool as Marion Cotillard but rarely ever manages this. Liz does not enjoy writing a brief summary about herself in the third person but does love using slang she can’t quite pull off. I read this article and found it very interesting, thought it might be something for you. The article is called Show Zayn Is Indispensable – #fivesongsthat and is located at http://prancingthroughlife.com/2015/03/27/show-zayn-is-indispensable-fivesongsthat/.